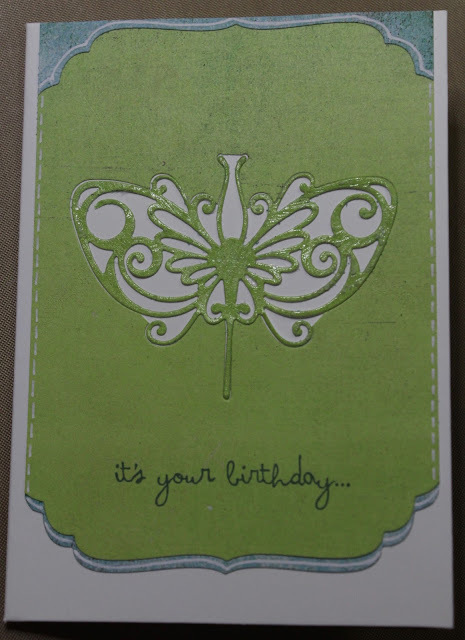 I wanted to showcase a beautiful butterfly die cut I bought recently. To make it really stand out I needed a simple design. I used my favourite colours of blue and green to make this greetings card and added some extra sparkle on the butterfly using a clear wink of Stella glitter pen. In the video, I show how to use die cuts to cut your shape just where you want!